Project setup in Bricsys 24/7 is simple, so let’s get started. A clear project structure is important when collaborating with an extended team. That’s why each new project starts with a clean slate. Three primary applications are available when you create a new project: the Dashboard app, the Structure app and the Administration app. Launch Bricsys 24/7, go to the Admin app and let’s get started. Smart project setup is facilitated when you take the time to complete the project information page. It’s important to fill in all the fields so that your extended team has a good overview of the project details. Next, you can start setting up your project’s folder structure. Go to the structure tab and begin to add the folders you need. Don’t forget to set up the basic permissions for these new folders in the graphical permission settings on the right side of the Structure panel. Next, it’s up to you to choose the applications you want in your project. To set up the applications you need, first you need to create the project folder structure. Until you do, you won’t see any additional applications (save for the Dashboard, Structure and Administration apps) in your menu. From the Structure tab, just add a new folder and select the folder type: calendar, address book, workflow, BIM, et al. Then, make sure you set access rights for your users, based on their roles in the project. When you’re done, the applications you need will be available in your menu. Now, it’s time to create different roles for the different types of people in your project (designers, reviewers, approvers, managers, et al). Just choose “Add Role” and fill in the data on the Roles tab. Next, go to Folder Access to set up access rights for each of your newly-defined roles. In the top left corner, you can choose the access rights by folder or role. You’re able to choose which actions a specific role can perform, down to the folder level. A project in Bricsys 24/7 can have unlimited users. Add a user via the Users tab in the Administration panel, and make sure that you fill out each user’s unique information. They will get an automatic email in their project mailbox, inviting them to your new project in the Bricsys 24/7 cloud. As AEC projects are very dynamic, you may want to add a guest user role. Users assigned this role will have limited viewing rights, and their file permissions will be restricted. Create the role first, then you can add new guest users to your project. Guests users have limited view, download and print rights. 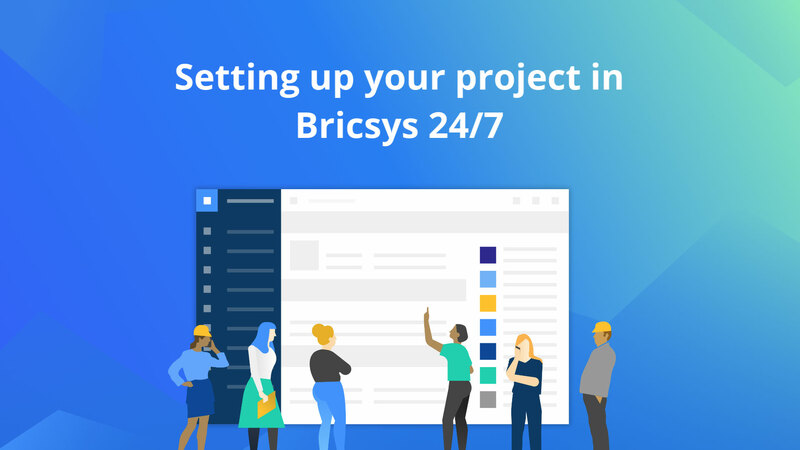 Enjoy the simplicity of project setup in Bricsys 24/7!